This is a hazy, early morning view of Fertő Street located in the 10th district of Budapest, Hungary. 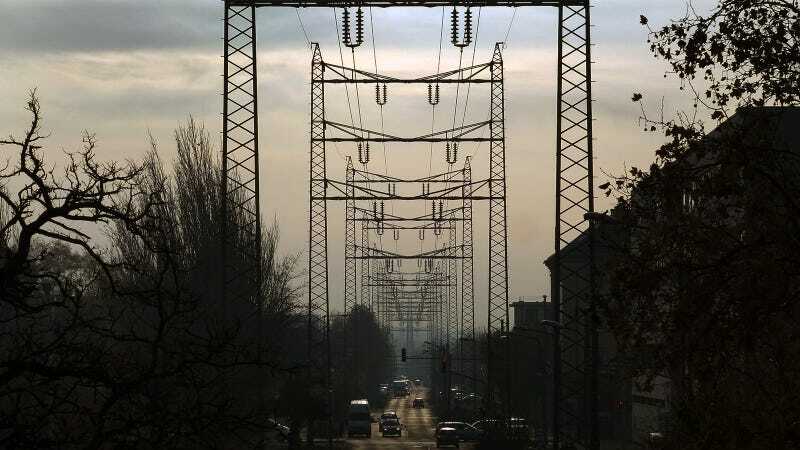 This spectacular row of steel gate towers support a 120 kV power line—directly over the heads of people and the traffic. The daring piece of engineering creates a quite unique street scene. Do you know any similar cityscapes anywhere around you? If so, please post it in the comments—photos or Google street views are welcome!